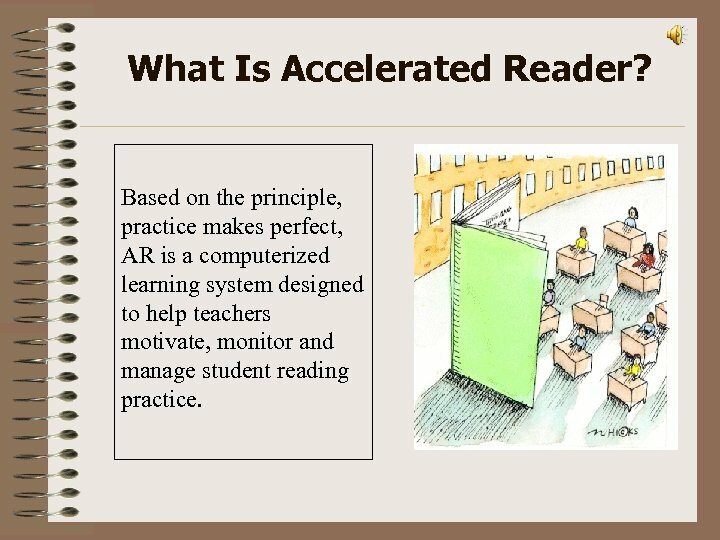 What Is Accelerated Reader? Based on the principle, practice makes perfect, AR is a computerized learning system designed to help teachers motivate, monitor and manage student reading practice. How Does It Work? 1. A student selects an AR book within his reading range. 2. The student reads the book. 3. The student takes a computerized quiz that assesses his literal comprehension of the book’s characters, events, and literary features. 4. The score, generated by the computer, gives the student immediate feedback. 5. Teacher monitors and intervenes. 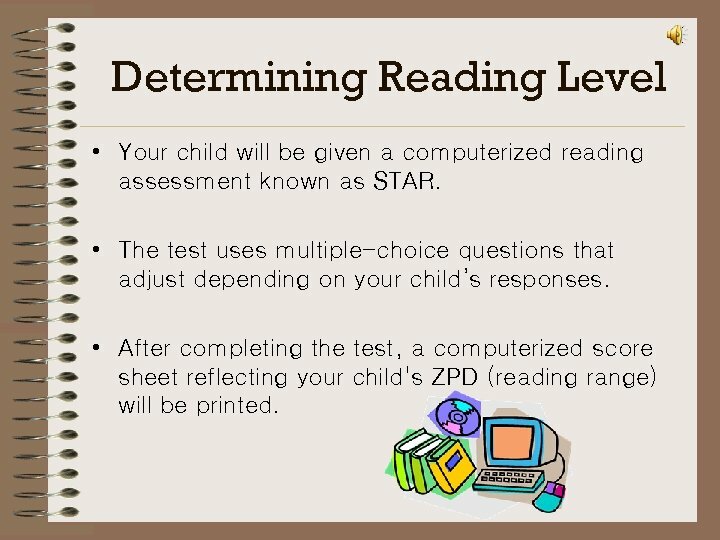 Determining Reading Level • Your child will be given a computerized reading assessment known as STAR. • The test uses multiple-choice questions that adjust depending on your child’s responses. 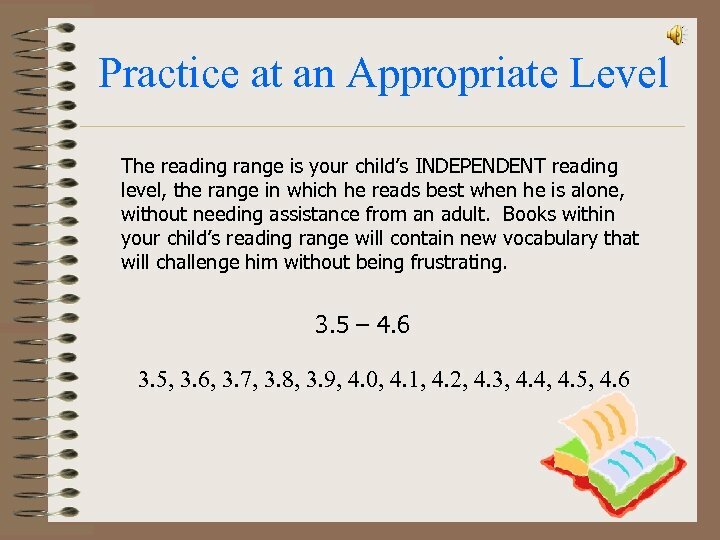 • After completing the test, a computerized score sheet reflecting your child's ZPD (reading range) will be printed. 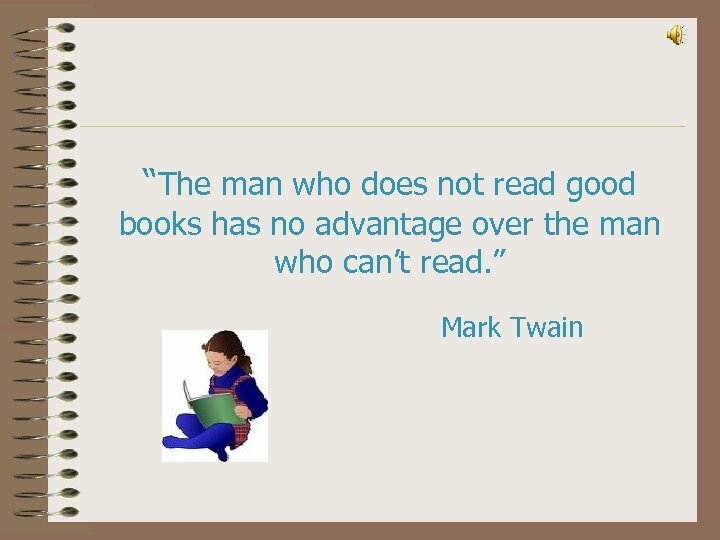 The content of a book is not taken into consideration when determining a book’s reading level. Just because a book is within your child’s reading range doesn’t mean he SHOULD read it. 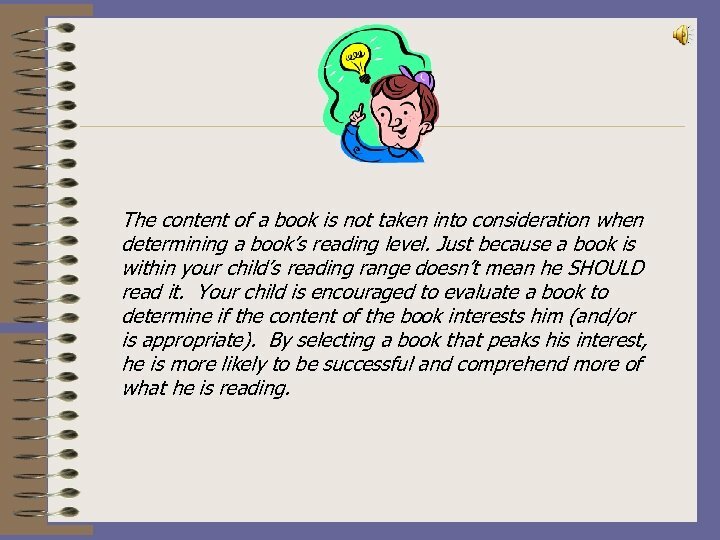 Your child is encouraged to evaluate a book to determine if the content of the book interests him (and/or is appropriate). By selecting a book that peaks his interest, he is more likely to be successful and comprehend more of what he is reading. Creating a Book Bag Once your child knows his reading range he is encouraged to create a book bag. A book bag is a listing of the books our library has within his reading range. 1. 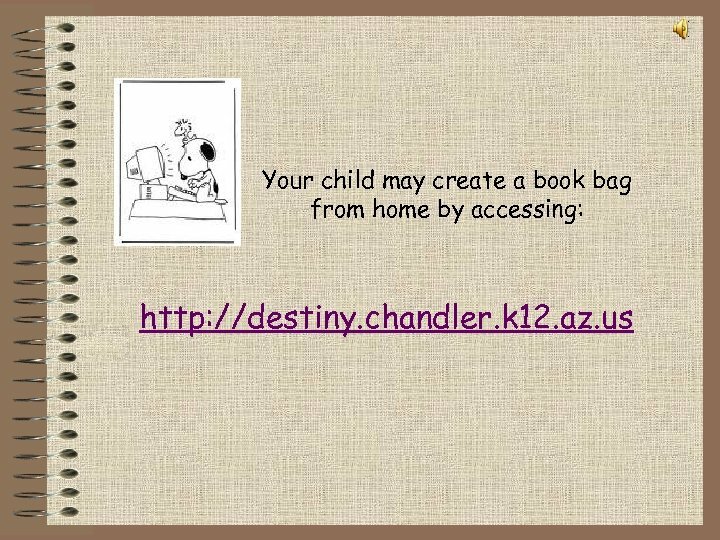 In our cataloging software, Follett Destiny, change the Reading Program from Unlimited to Accelerated Reader. 2. Type in your reading range. If you ENTER now, you will get a listing of ALL the books our library has within your range. Or, after entering your reading range, you may type in a particular subject or genre that you’d like the books within your range to be about and then click ENTER. 4. Click on IN this LIST. Then, click on PRINTABLE to print the listing. 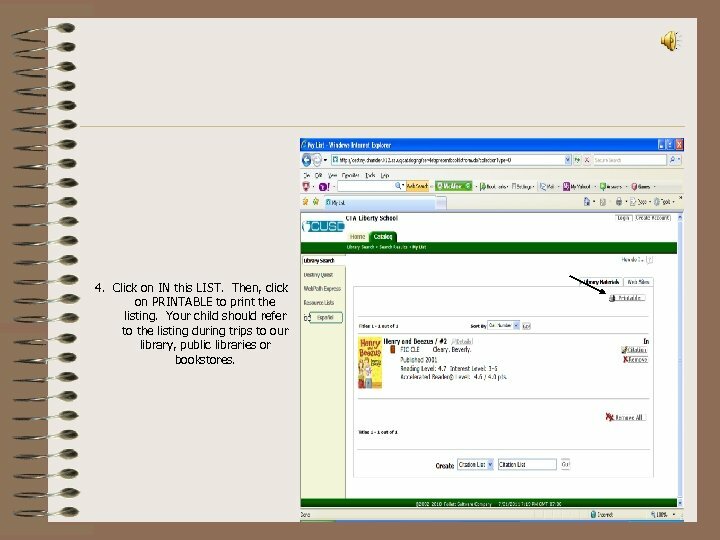 Your child should refer to the listing during trips to our library, public libraries or bookstores. 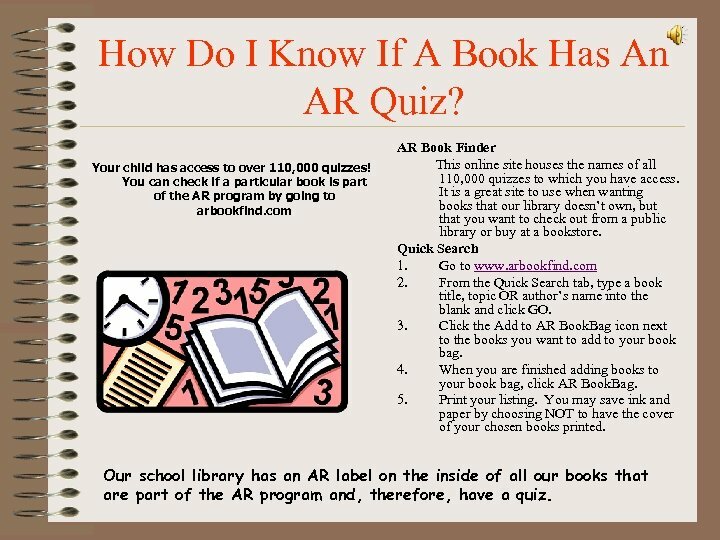 How Do I Know If A Book Has An AR Quiz? Your child has access to over 110, 000 quizzes! You can check if a particular book is part of the AR program by going to arbookfind. com AR Book Finder This online site houses the names of all 110, 000 quizzes to which you have access. 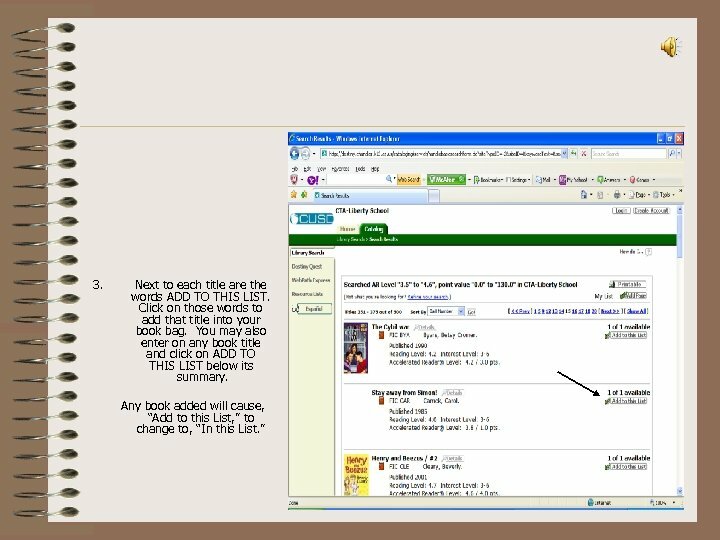 It is a great site to use when wanting books that our library doesn’t own, but that you want to check out from a public library or buy at a bookstore. Quick Search 1. Go to www. arbookfind. com 2. From the Quick Search tab, type a book title, topic OR author’s name into the blank and click GO. 3. Click the Add to AR Book. Bag icon next to the books you want to add to your book bag. 4. 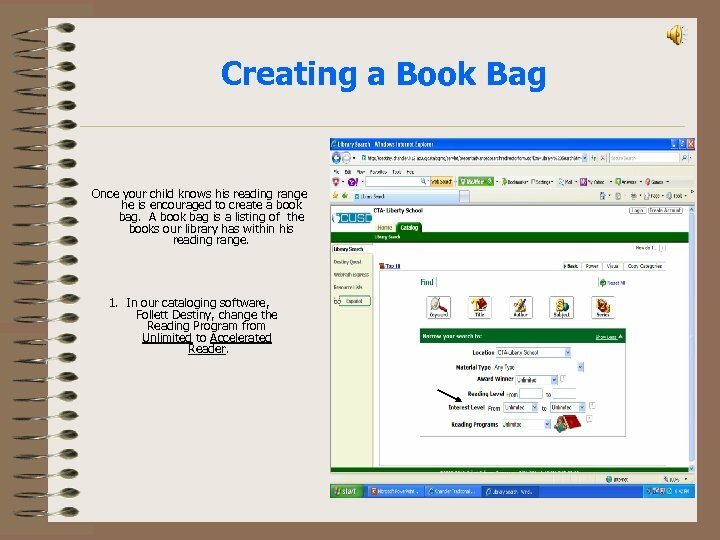 When you are finished adding books to your book bag, click AR Book. Bag. 5. Print your listing. You may save ink and paper by choosing NOT to have the cover of your chosen books printed. 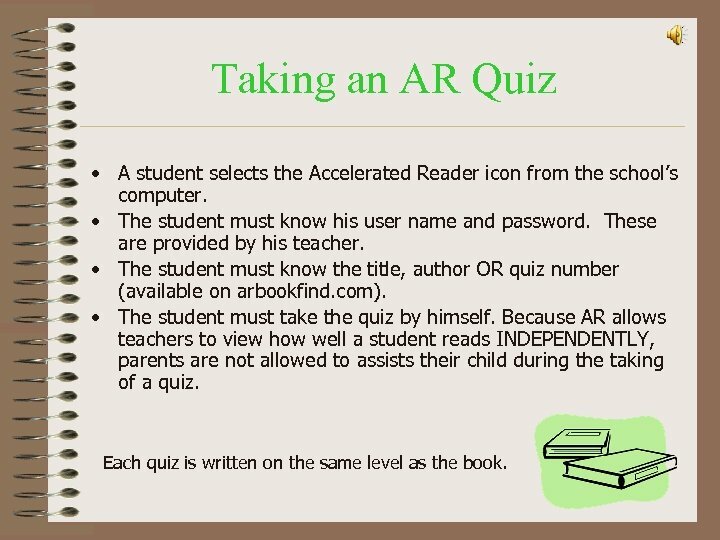 Our school library has an AR label on the inside of all our books that are part of the AR program and, therefore, have a quiz. 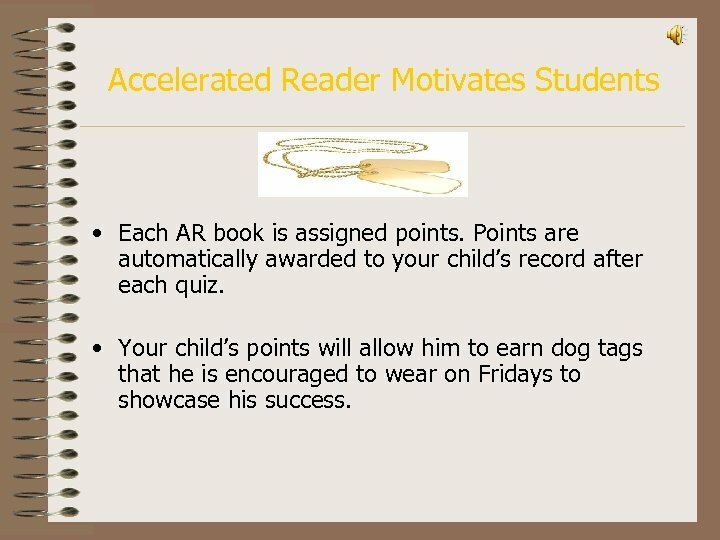 Accelerated Reader Motivates Students • Each AR book is assigned points. Points are automatically awarded to your child’s record after each quiz. 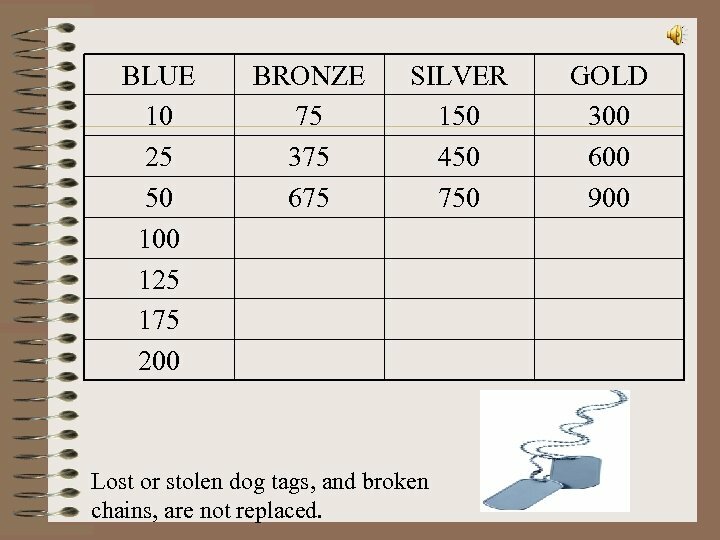 • Your child’s points will allow him to earn dog tags that he is encouraged to wear on Fridays to showcase his success. Taking an AR Quiz • A student selects the Accelerated Reader icon from the school’s computer. • The student must know his user name and password. These are provided by his teacher. • The student must know the title, author OR quiz number (available on arbookfind. com). • The student must take the quiz by himself. 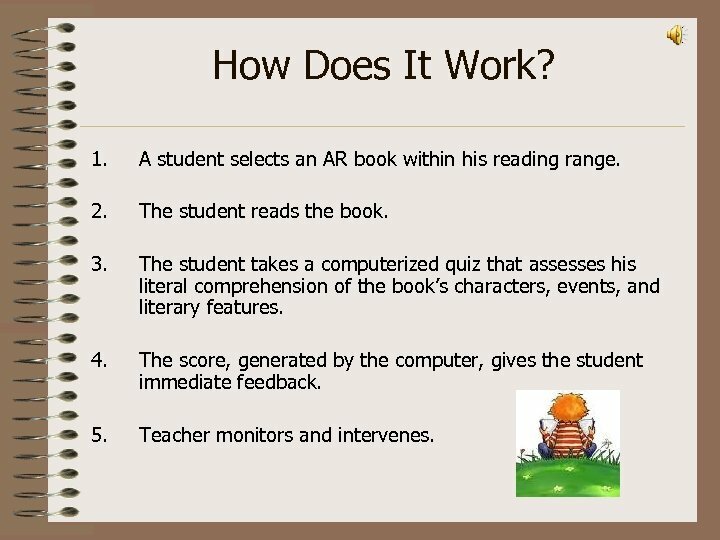 Because AR allows teachers to view how well a student reads INDEPENDENTLY, parents are not allowed to assists their child during the taking of a quiz. Each quiz is written on the same level as the book. 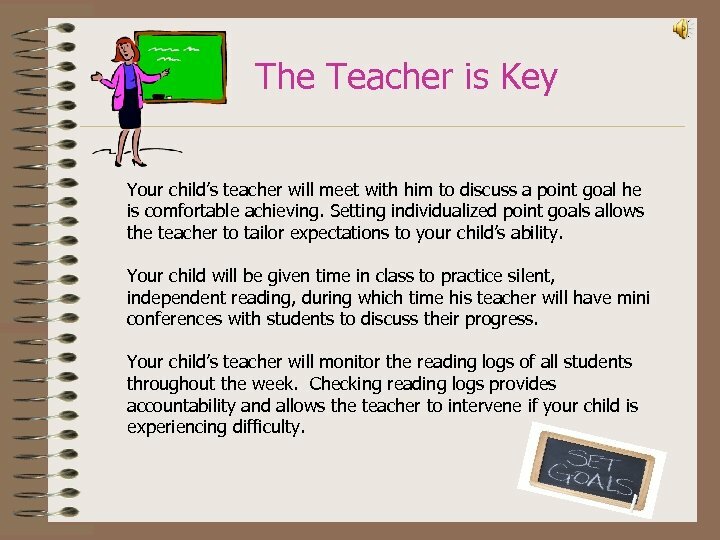 The Teacher is Key Your child’s teacher will meet with him to discuss a point goal he is comfortable achieving. Setting individualized point goals allows the teacher to tailor expectations to your child’s ability. Your child will be given time in class to practice silent, independent reading, during which time his teacher will have mini conferences with students to discuss their progress. Your child’s teacher will monitor the reading logs of all students throughout the week. Checking reading logs provides accountability and allows the teacher to intervene if your child is experiencing difficulty. 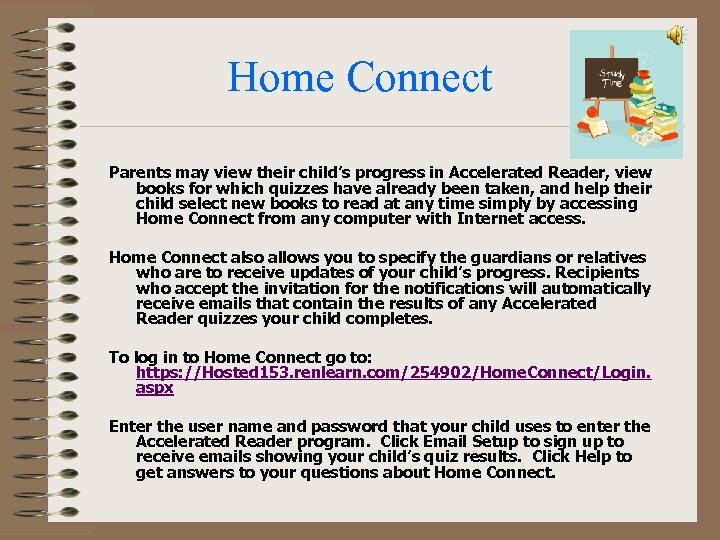 Home Connect Parents may view their child’s progress in Accelerated Reader, view books for which quizzes have already been taken, and help their child select new books to read at any time simply by accessing Home Connect from any computer with Internet access. Home Connect also allows you to specify the guardians or relatives who are to receive updates of your child’s progress. 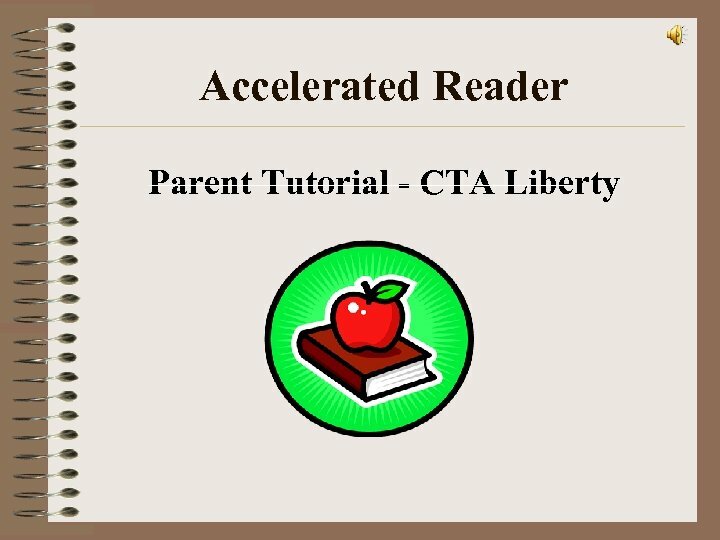 Recipients who accept the invitation for the notifications will automatically receive emails that contain the results of any Accelerated Reader quizzes your child completes. To log in to Home Connect go to: https: //Hosted 153. renlearn. com/254902/Home. Connect/Login. 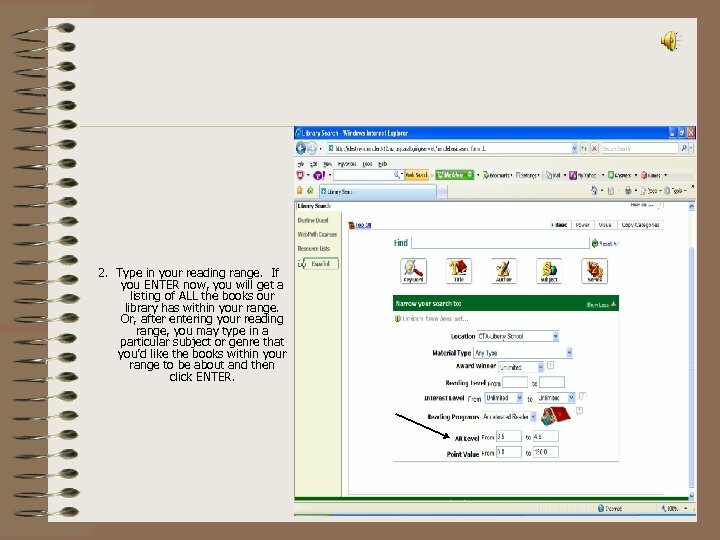 aspx Enter the user name and password that your child uses to enter the Accelerated Reader program. Click Email Setup to sign up to receive emails showing your child’s quiz results. Click Help to get answers to your questions about Home Connect.